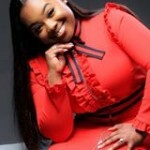 Jekalyn Carr’s You Will Win Conference is scheduled for June 21-22 2018, at Brown Baptist Church in Southhaven, MS. You Will Win Conference will offer breakout sessions that will be taught by accomplished music and entertainment industry business professionals. Jekalyn Carr’s 2-day conference will feature a variety of diverse speakers, workshop facilitators and panelists. This is a conference that will inspire and educate all attendees. The focus of the conference is to share how to incorporate Christ in day to day activities, in business and at work. As Christians we can keep our integrity while working in various positions inside and outside Christian platforms. Cassandra Lucas singer, songwriter, producer and recording artist, formerly of Changing Faces released her new independent project Name On It. Name on It places Cassandra Lucas back on Billboard Charts, which speaks volumes. There is no doubt her talent, skills and abilities as an artist and songwriter, is able to stand the test of time. 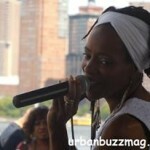 Cassandra Lucas is establishing herself well in our new millennium music arena of all things digital. She is bringing back that R&B music we are missing. Cassandra’s independent project demonstrates her diversity as a songwriter and artist. She expresses the joys and difficulties returning to music but love and passion beats it all. Big Inf Is Hip Hop straight out of the Boggie Down Bronx. He began as a Disc Jockey making people dance, from house parties, too block parties and clubs. Big Inf was creating a name for himself. He crafted his skills and became known for making Mixtapes featuring who’s who in hip-hop. Big Inf moved in circles with Cam’Ron, Mobb Deep, The Game, Freeway, 50 Cent, M.O.P, and others. 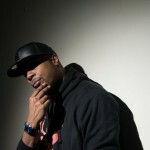 Surrounded by great hip hop influences Big Inf moved from DJ to making hits, penning hits and becoming a wordsmith. Presently, Big Inf released his second album project, New Industry. Award-winning Christian hip-hop/rap artist Young Saint has released his latest effort entitled, TRANSITION LIVE (G-one Music Group, LLC), available now on all purchasing and streaming digital outlets. The featured single Hold Me Together featuring singer/songwriter Chandler Moore, which is gaining traction. Young Saint is from Fayetteville, NC will be traveling overseas promoting his new project. I had the pleasure of speaking with Young Saint about his journey and wow! he is a true talent to his gift. Young Saint vows to take the world’s negative concepts and turn them around, through his music. He uplifts and inspires all, young and old. With each song, there is lyrical content broken down so that the young can understand and partake but meaty enough for “seasoned” listener to take away something as well. The popular Bad Girl of Comedy, LUENELL, will receive the Moms Mabley Legacy Honor at the 1st Annual LOL Comedy Honors August 24th 2017. This is her Grammy Award, Oscar with a humble Thank You to be acknowledged by her peers. 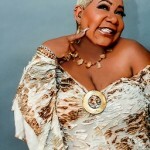 Being a female comedian is no easy feat but LUENELL has managed to wedge her way into a laughter spot of recognition. LUENELL is a producer, writer, and go getter in the field of comedy. She posed a question during our interview which was very interesting. She asked me to name my top 10 comedians. When you hear why it will blow your mind. I don’t want to give away our interview because it was honest, funny and true. You have to listen. 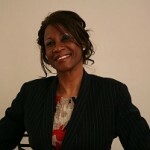 Ambrosia singer, writer and vocal coach is not new to the music scene, a 30+ year veteran in Jazz, R&B, Gospel and House. With her previous successful hits such as Believe In Me, Trust Yourself and That’s How Much I Love You, it is time again to bring people to the dance floor. Ambrosia’s new single Rise Up on Shelter Records Rise UP is an anthem to be heard in these unbalanced times. Rise Up, the statement is inspirational as her lyrics rides on a house music beat. House music remains popular to date among a large group of “let us rise and be free” music lovers across the world. Rise Up is a song of victory and unity. Ambrosia’s recent performance at Coney Island Brooklyn, NYC assembled together her fans and gained approval, while cheers rang out to celebrate her new single. Pam Rea a playwright and advocate against drug addiction, is scheduled to bring her stage play to Winston Salem NC on March 22nd 2018 titled Angels With Out Wings (AWOW). Pam Rea is no stranger to the injustice which plagues both urban and suburban communities daily. She has worked in the criminal justice field for over 20yrs. She took part in implementing one of the first drug programs during her tenure. Angels With Out Wings is an awareness play also performed in Spanish. It’s based on America’s longest running war against illegal drugs. Pam Rea is addressing the fight against Heroin, Synthetic Weed, K2, Chemical Laced Children Candy and Prescription Drugs, which are putting young and old people in an early grave. There have been an increase in Emergency Room Hospital visits for drug induced heart attacks and overdoses.